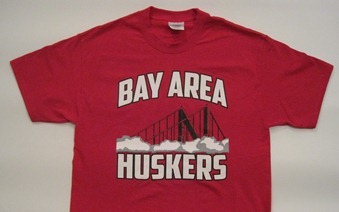 Bay Area Husker shirts are now available on-line on our home page. Visit bayareahuskers.org to get yours today. 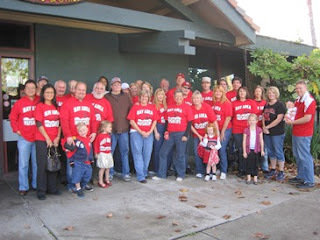 Shirts are only $15.00 for Members with 2X and 3X sizes costing $2.00 more. Non-Members pay $20.00 with 2X and 3X sizes costing $2.00 more. Become a member of Bay Area Huskers today and save. You also help Bay Area students attend UNL as we award scholarships yearly. Bay Area Huskers is pleased to annouce that Bay Area Husker Tee-shirts went on sale today at Jack's in Fremont, CA. These shirts will soom be available for purchase on line. 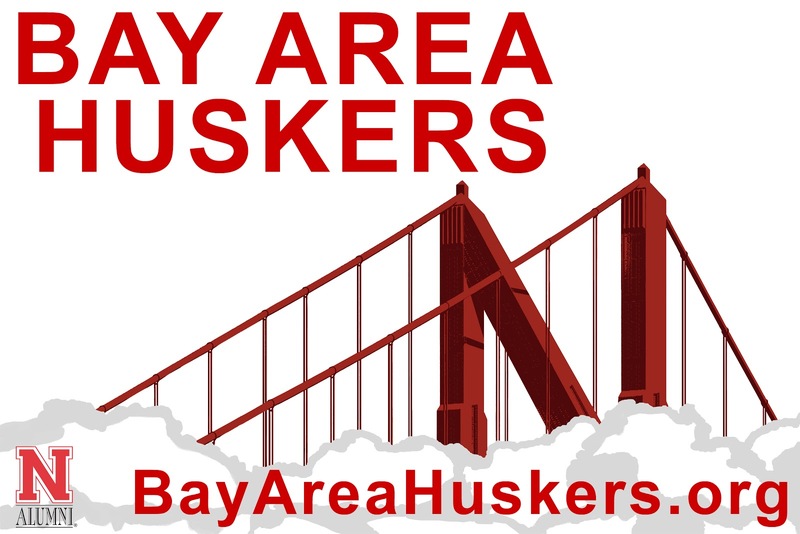 Visit our Bay Area Huskers website for additional Husker information, Links, Upcoming Events, Past Events, Watch Sites, and the Schedule of Games. Also order Merchandise online, and get information on Husker Scholarships. Check out the History of the Huskers and meet our Directors. 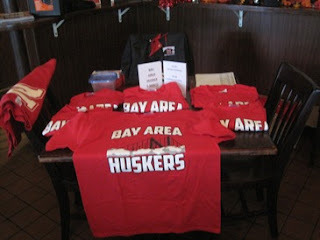 Say hello today, email us, and become a member of the Bay Area Huskers Alumni Chapter. If your in Lincoln this weekend at the game or watching the game on TV, keep a look our for our banner which will now be hanging for the first time. See what it looks like below.